Injuries are part and parcel of football, people working in the game often say. Sure enough the number of injuries does not seem to be decreasing, even though most top-level teams have embedded sports medicine and science provision within their set-ups these days. Some injuries, such as hamstring muscle strains and knee ligament ruptures, actually appear to be on the rise. And there is evidence that injury rates negatively affect team success – teams that have more players available and suffer fewer injuries achieve more points per match on average. English Premier League champions Leicester City incurred relatively few injuries and days lost due to injury during their winning campaign, for example. On the other hand, Arsenal have consistently high injury rates and have struggled to win the league since 2003/04. 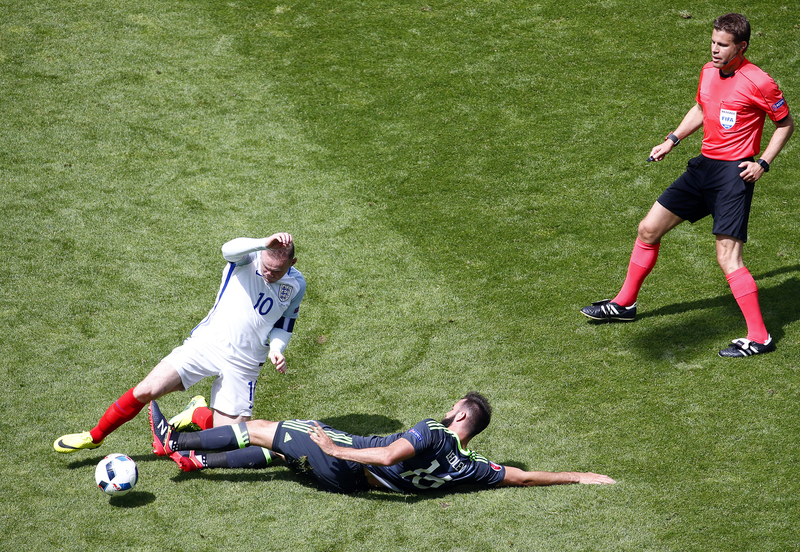 Football tournaments such as Euro 2016 can increase the injury risk for players because of the congestion of match fixtures. If any of the 23-man football squads at Euro 2016 were to play a whole season of football they could expect approximately 46 injuries – two injuries per player on average. This makes it particularly desirable to avoid injuries if possible – so can anything be done? Footballers most commonly get injured during non-contact moves such as changing direction or running. These injuries typically occur due to an identifiable one-off event that has placed injured tissue under a load it cannot withstand. The most frequent in football are knee and ankle sprains. When footballers learn a new skill, they master how to execute the movement before increasing the demands or complexity. Running and changing direction are not viewed as footballing skills, however, in the way that, say, shooting or heading the ball are. Footballers often give very little attention to learning or practising these fundamental movements – and that’s where the problem lies. A footballer first learns to kick a ball with their foot, for instance. They work up to complexities like approaching the ball and following through with their kicking leg; and variations like side-footed passes. When an individual learns different techniques and starts to work under pressure during match play, their kicking skills continue to develop and improve. This is an integral part of learning to play football. On the other hand, humans usually move in the easiest way possible. Our research has shown that when people run regularly, they refine their technique to improve the efficiency of their movement – but don’t focus on reducing their injury risk. It is likely that the same happens with changing direction. If footballers and their coaches applied the same incremental skill development to these fundamental movements as they do to kicking a ball, it might reduce rates of injury. We know that how we move, use our muscles and direct the load through our lower limbs all contribute to developing a non-contact injury. We also know that pre-existing injuries alter how we do these things. As a result, players returning to football after an injury have a higher risk of injury than the original risk of getting hurt. This is why it is particularly important for them to work on their movement techniques. For Euro 2016, many teams have selected players for their squads that are already carrying injuries – Wales’ Joe Ledley and England’s Ryan Bertrand, for example. For players such as these, where the focus is to get match fit as quickly as possible, there is a limited amount of time available to retrain their movement. Researchers have developed successful retraining schemes that reduce the risks of injury and re-injury, but these often need several weeks to work. Some sports medicine clinics also offer detailed movement analysis, usually using specialist cameras, to provide injured players with personalised retraining plans. Again, however, this takes precious time that often cannot be afforded in tournaments. This time problem may sometimes mean that a player should have been left out of a team’s tournament squad. Each case will depend on whether it was a movement-related injury, however. If so, they are at risk of further injury from training and playing without fixing their movement over the appropriate timescale first. Beyond Euro 2016, it can be challenging for footballers to target movement as part of their recovery, particularly in comparison to getting fitter and stronger. But otherwise they always risk a returning injury. For aspiring players and returning professionals alike, ignoring the role of movement in reducing injury risks can be the difference between staying on the pitch and more time on the sidelines – sometimes permanently.